A few years ago I started making my own vanilla extract. It’s so easy. I ordered the vanilla beans, bought some vodka and bourbon, a few jars and voila–Homemade Vanilla. 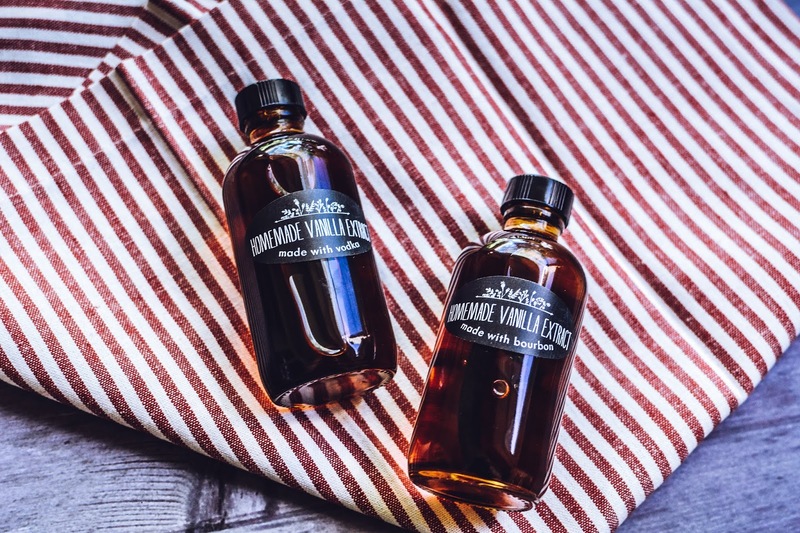 Learning how to make homemade vanilla extract is so easy. It requires two ingredients and makes everything you use it in taste and smell incredible. 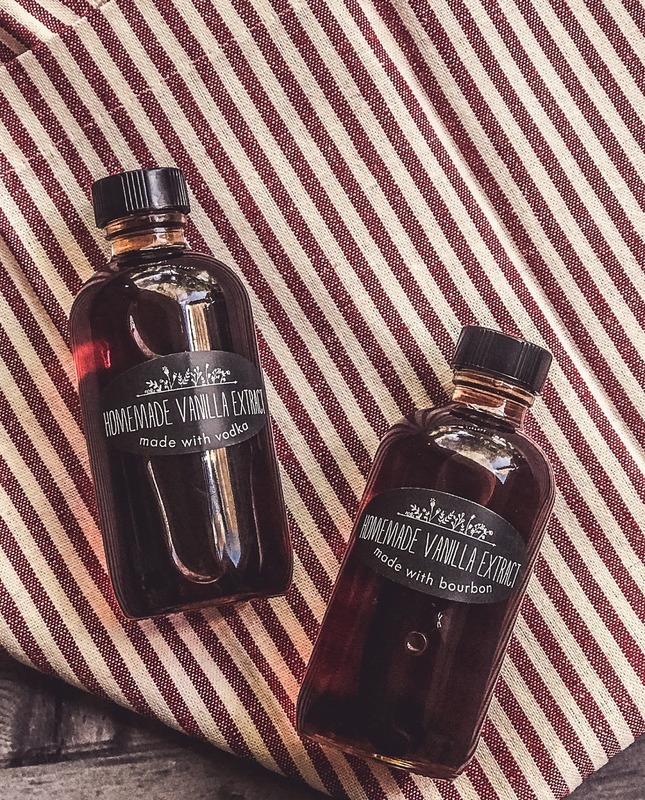 I promise, once you make your own homemade vanilla extract, there’s just no going back to the store-bought version. There’s also a bonus, you can refill real vanilla extract with more vodka or bourbon as it runs out. It really is the gift that keeps on giving. The key to making this vanilla is patience. It takes approximately 12 months for the vanilla to achieve the right color and flavor, so definitely plan ahead. The vodka vanilla is perfect for when you only want a pure vanilla flavor in your recipes. Whereas, the bourbon vanilla adds a depth and complexity to the vanilla flavor–perfect for chocolate or any type of rich flavors. Split each vanilla bean in half and place in each jar. Fill jars with bourbon or vodka. Seal and allow to sit in a cool, dark area for 12 months, shaking every week or so. Vanilla will be ready in 12 months. I hope you enjoy this little kitchen secret on how to make your own vanilla extract. This also makes a great holiday gift- tie with a little red/white twine and you’ve got a great homemade gift.